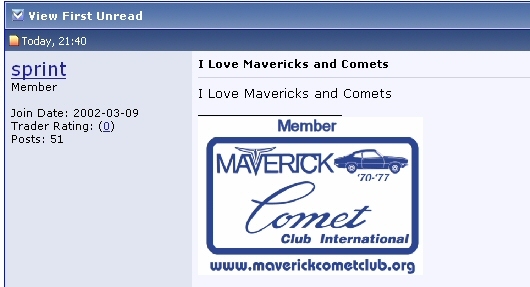 Show your support for the Maverick Comet Club International, as well as help promote it, by displaying the club’s logo in your signature on the forums you visit. This code will display the following image. 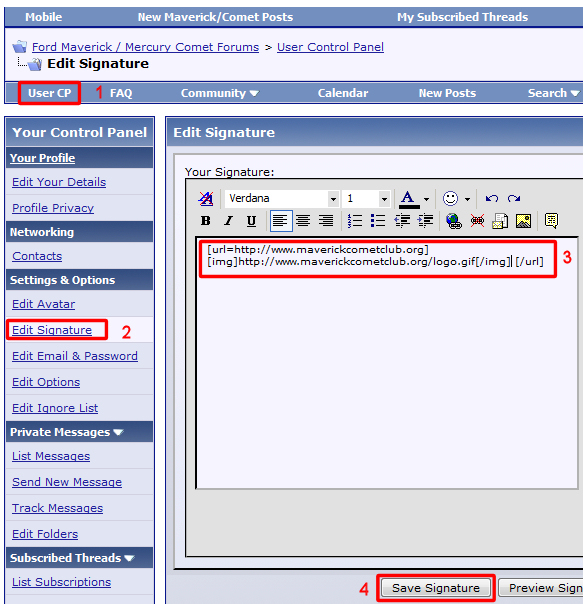 On a forum that uses the vBulletin software, like the Maverick Comet Forums, the following are the steps to add the code to your signature. If all went well, the following should show up in your signature (You may need to make a new post for it to show up).